Click here to read Dr. Finch's articles. If Dr. Jerry Parson's is the ying then Dr. Calvin Finch is the yang. Each Saturday and Sunday afternoon Dr. Finch is one of the two experts who answer your gardening questions on Milberger's Gardening South Texas. So what are his qualifications? Dr. Finch holds a bachelor's from Bemidjl State University in Minnesota, a master's from Stephen F. Austin State University and a doctorate from Texas A&M University. He has been recognized at the state and national level for his work with youth gardening programs, including the Green Brigade program for at-risk youth and the Master Gardener program. His work with the Master Gardener and urban horticulture programs merited for him the Superior Service Award from the Extension Service in 1996. 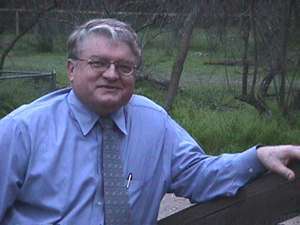 In 1998 he received the Vice Chancellor's Award in Excellence in Extension education presented by the Agriculture Program of The Texas A&M University System.